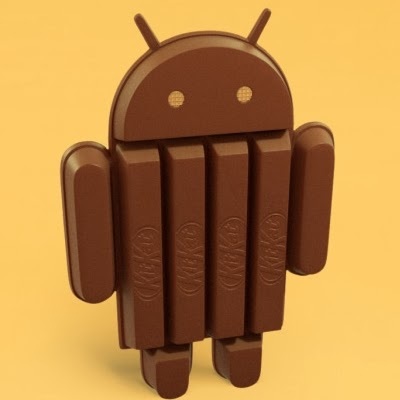 Android 4.4 KitKat, the latest version of Google’s mobile operating system, comes with a series of small tweaks to the interface, including whitened icons in the status bar, and a Google engineer now explains why this has happened. Apparently, the idea of turning all icons white was an aesthetic one, making the System UI a more neutral one and allowing apps to better manage their own color palettes, Dan Sandler explains on Google+. Another change made in the new OS flavor was the removal of network connectivity indicators from the status bar, and their appearance in the Quick Settings menu. The network indicator is still present on the homescreen next to the clock, but it appears only in white, without letting users know whether they are indeed connected or not. For that, they will have to head over to the Quick Settings, where the indicator would turn Orange when the connection drops (it used to be grey before). To know whether their data is being sent over a Wi-Fi connection or a mobile network, users will have to turn to the same Quick Settings once again in KitKat. Apparently, the small in/out data traffic arrows from the RSSI impacted the performance of devices, and removing them from the status bar was not an entirely aesthetic decision. “The way the data bits are bubbled up and drawn was not only causing a ton of extra rendering work, but actually forcing a layout (!) in the status bar as well,” Dan Sandler notes. Both the CPU and GPU were impacted by the rendering of the two arrows, not to mention that this also drained the battery, and Google decided to save resources through moving them away. “In the end it seemed like a lot of work (and battery) for what was effectively visual noise, so this too was booted to Quick Settings where it would be available for us nerds,” Sandler concludes. Undoubtedly, some will find it a bit annoying that they are no longer informed right on the homescreen about the network connectivity status of their devices, but they will grow accustomed to this, especially since they will enjoy improved performance.